Installing Charitable Ambassadors is the same as installing any other Charitable extension. If you’re not sure how to do that, we recommend first reading our guide to installing Charitable extensions. 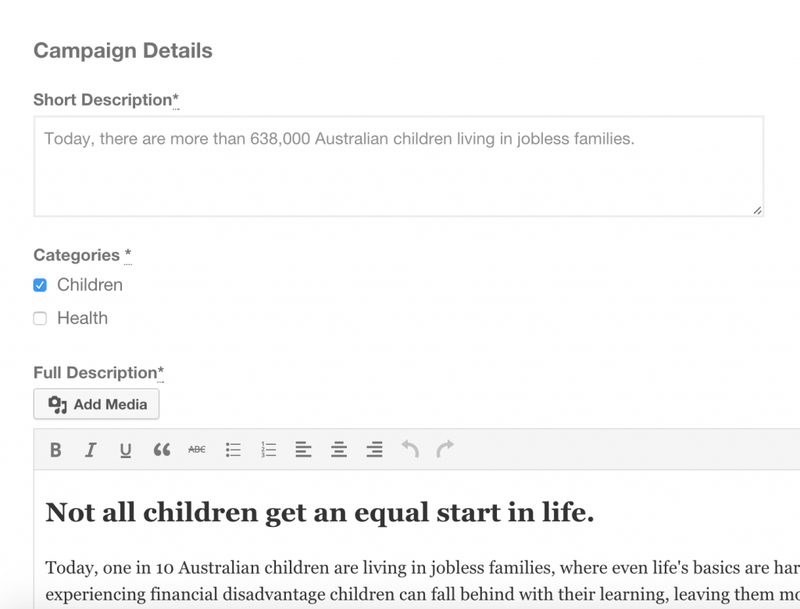 The frontend submission form, added with [charitable_submit_campaign]. The fundraiser’s list of campaigns, added with the [charitable_my_campaigns] shortcode. 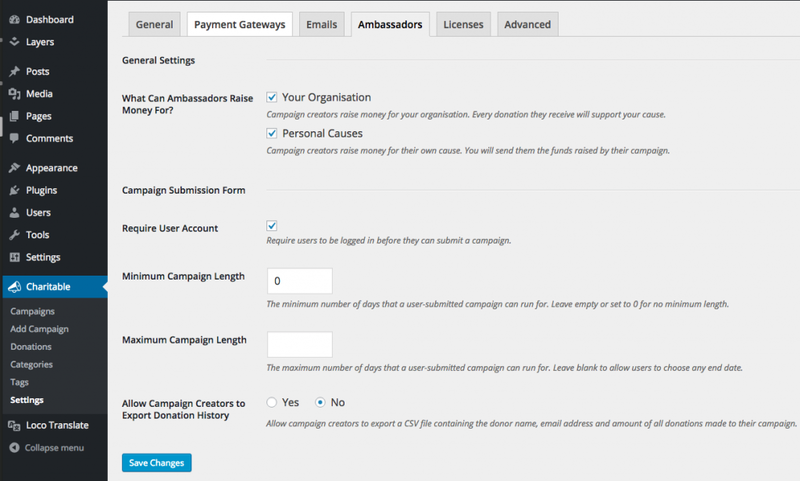 This creates a page that will be accessible to logged in users and allows them to see a list of donations they have received towards their campaigns.